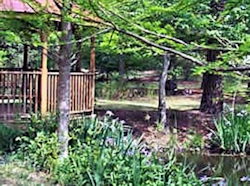 The arboretum encompasses 38 acres of stream-side forest and wetland, including pine woods, a native azalea collection, and approximately 280 kinds of native trees, shrubs and herbaceous plants, some endangered. The arboretum was established in 1987, with plant development and selection starting in 1991. Formerly known as Agrirama, the grounds consist of five areas: a traditional farm community of the 1870s, an 1890s progressive farmstead, an industrial sites complex, rural town, national peanut complex, and the Museum of Agriculture Center. 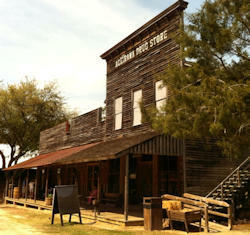 Over 35 structures have been relocated to the 95-acre site and faithfully restored or preserved. Costumed interpreters explain and demonstrate the life-style and activities of this time in Georgia?s history. 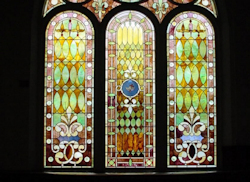 A 1900 Romanesque brick church featuring exquisite stained glass windows, heart of pine floors, vaulted ceilings, buttresses, a bell tower, fanlight doorways and more. It hosts quarterly professional exhibitions of paintings, wood, porcelain and much more. Tifton Terminal Railroad operated in the Tifton area in the early decades of the 20th century. The line was abandoned sometime before 1936. In 2008, the Tifton Terminal Railway Museum opened in Tifton's former Atlantic Coast Line freight depot. 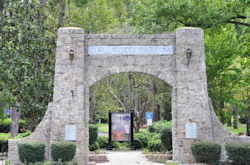 This 28-acre city park sports a large playground, picnic pavilions, fields and restrooms. Special events and concerts are held throughout the year on the outdoor Syd Blackmarr Stage.